Hola preciosos! 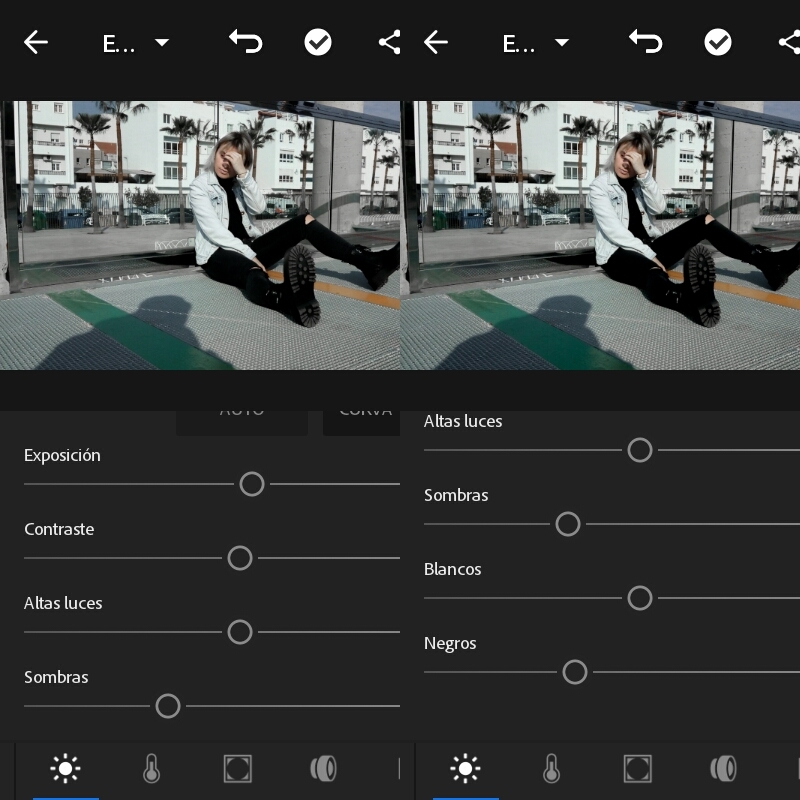 Hace un tiempo ya subí un post de como editaba mis fotos con la aplicación Vsco Cam y comentaba que también aveces para retocar utilizo Air Brush. Hace tiempo escuche hablar también de la app Lightroom, pero en sí no me llamo mucho la atención hasta que unos días atrás me vi un vídeo de una youtuber. Entonces es cuando descargué esta aplicación y la probé. Estoy encantada con ella. 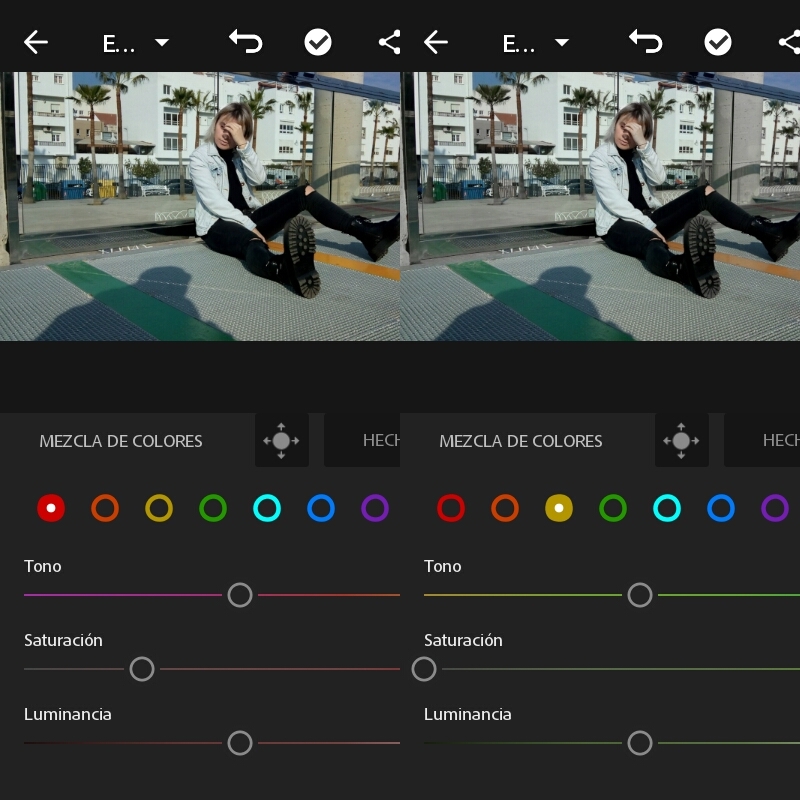 Te da posibilidades de reducir o directamente eliminar tonos de color que no quieres que salgan en las fotos, aparte puedes modificar lo que es la exposición, sombras, blancos, negros, etc.. A mi parecer es una App muy completa. 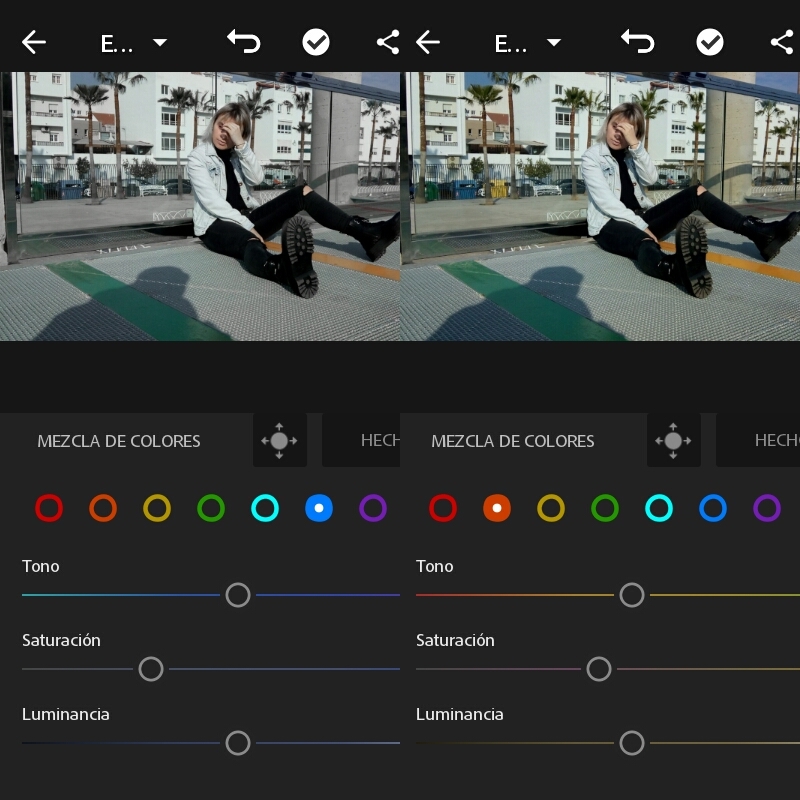 Por eso decidí dejar ejemplo de como edito mis fotos con la ayuda de esta aplicación. Hello beautiful! 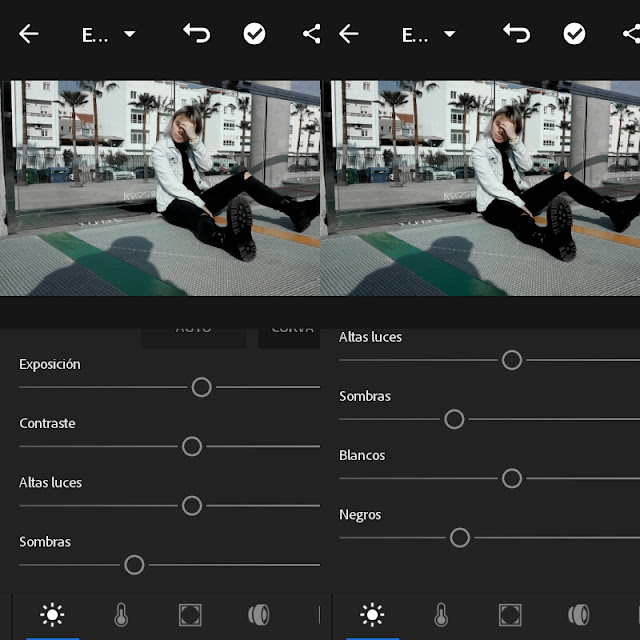 A while ago I posted a post on how I edited my photos with the Vsco Cam application and commented that I also use Air Brush for retouching. 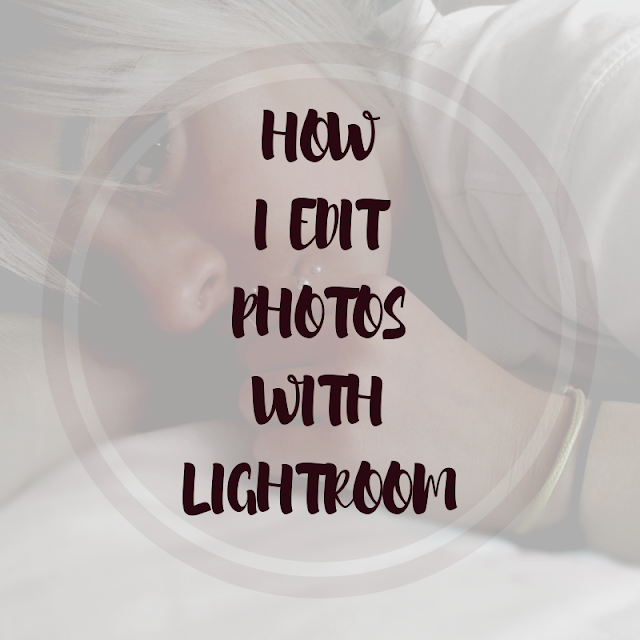 Some time ago I heard also about the Lightroom app, but in itself I did not get much attention until a few days ago I saw a video of a youtuber. That's when I downloaded this application and tried it. I'm happy with her. 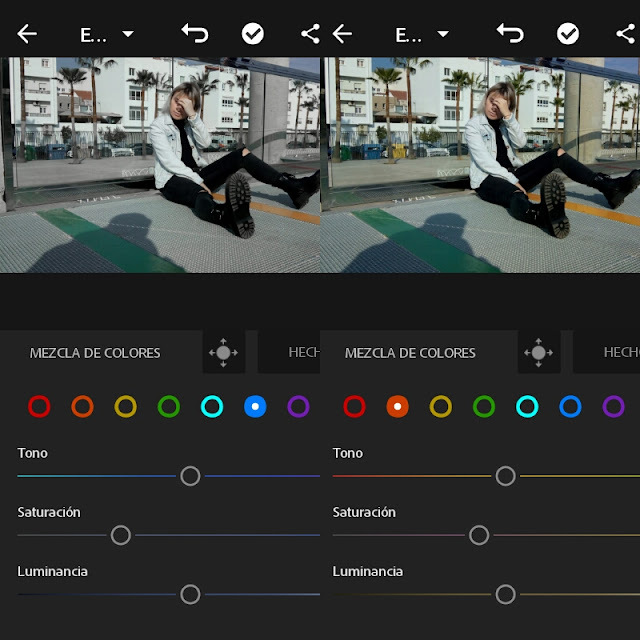 It gives you possibilities to reduce or directly eliminate color tones that you do not want to appear in the photos, apart you can modify what is the exposure, shadows, whites, blacks, etc ... In my opinion it is a very complete App. 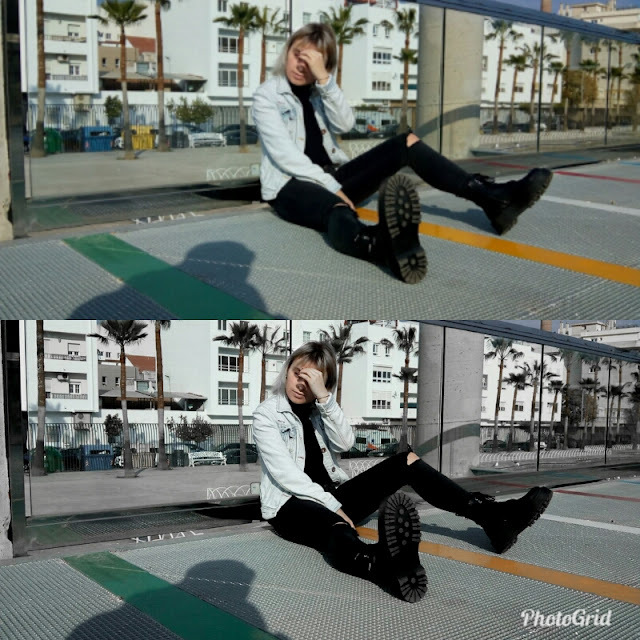 That's why I decided to leave a example of how I edit my photos with the help of this application.I hope you like it and see you soon.Kisses, E.
Lillianna 3/08/2018 10:59 a. m.